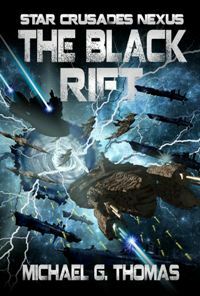 The heroes of the Alliance Navy and Marine Corps unite with their newly found alien allies to participate in the greatest and most violent struggle in history. 17 year later. 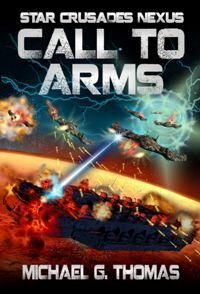 The heroes of the Alliance Navy and Marine Corps unite with their newly found alien allies to participate in the most violent struggle in history. The Alliance emerges from the violent schism known as the Great Uprising stronger than ever, and with a hunger for exploration, and answers to untold questions. 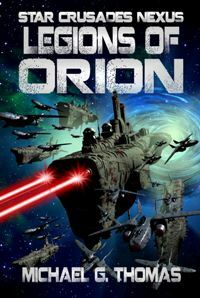 Seventeen years after the conflict and harnessing technology discovered in the war, the Alliance makes first contact with alien civilisations at a place now known simply as the Nexus. But this new age of peace, trade and scientific advancement draws the attention of the mysterious enemy. 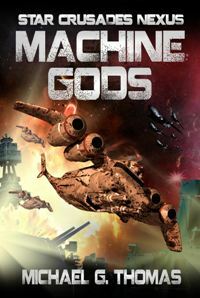 The heroes of the Alliance Navy and Marine Corps unite with their newly found alien allies to participate in the greatest and most violent struggle in history. This thrilling period is described in detail in the epic 9-volume Star Crusades: Nexus series. A grand expedition of civilian and military ships is formed to travel to the most important location in the Galaxy. Little do they know that something terrible and violent awaits them, something that has waited centuries for this very moment of weakness. In a shocking move, ANS Conqueror, the first battlecruiser to be constructed since Great Uprising is attacked with overwhelming force while orbiting Helios, and is sent crashing through the world’s atmosphere. 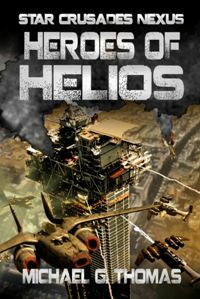 The revolution on Helios has slowed to a stalemate, worsened by a bloody military coup led by Dictator Lyssk and his private security forces. News that they have turned on the civilian population force the Alliance Senate to act. The vast chunk of rock and ice appears to change course and a grand Helion fleet moves to intercept it. 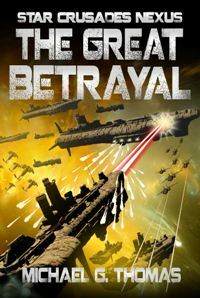 No sooner does the blazing comet arrive that the enemy finally reveals himself, and not a single world or colony is prepared for what is to follow. As Spartan recuperates from his tortured ordeal on the backward and corrupt planet Earth. a final message arrives from Mars. Enemy ships have smashed through the Rift and in hours all contact is lost with the Martian colonies. Battlegroups from across the Alliance rush to Helios, along with entire divisions of regular and territorial Marines and their war machines. Trenches are dug, weapon emplacements constructed, and artillery sited at every key point that might be struck. 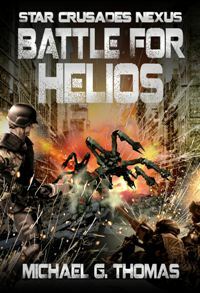 The opening battles of the bloodiest war in human history have been fought, and now the enemy spreads from world to world, exterminating all before them. This is no war for territory or resources, it is one of genocide. 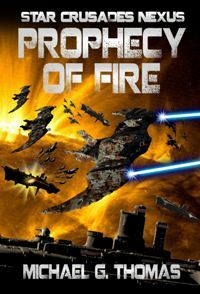 As the allies wait for the arrival of the hated machines, they are forced to defend the burned out worlds of Eos, Spascia, and Helios Prime. 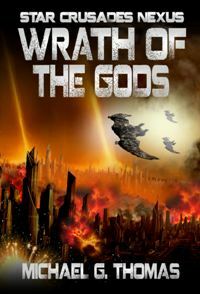 The outcast Biomechs of the Nexus hear the call of their kin, and hurl themselves at every ship and soldier in a final bloody assault that could end the war in a matter of days.